Gracious living in this remarkable English-style Arts & Crafts home on a peaceful cul-de-sac just one block from Lake Silver (includes deeded lake access). Originally built in 1950, this home was completely rebuilt in 2004 & remodeled in 2018. The remodel included a new roof, two new high-efficiency air conditioners & refinished hardwood floors. The spacious Great Room has Arts & Craft styled custom oak trim & lighting.The open floor plan moves easily from the entry & living areas to the kitchen & pool area & makes entertaining a crowd easy. The pool area is an oasis of sheltered space & sunshine, perfect for an outdoor get together. The spacious downstairs master suite has large windows & features a gas fireplace & Brazilian cherry wood flooring. The adjoining master bath has 2 sink vanities w/ granite, a bidet, separate jetted bathtub & large tiled shower. The bath is adjacent to an two sided walk in closet. An office overlooks the stunning patio, pool and backyard garden with fountain & completes the master suite. The modern kitchen has granite counter tops, custom oak cabinets, a butler's pantry, two refrigerators, two built in ovens an island & a dining area. The rear yard is surrounded by a lighted 6' high block privacy wall & the patio is already plumbed for a natural gas outdoor kitchen. There are two large en suite bedrooms upstairs, each with it's own balcony, vaulted ceiling, walk-in closets and large picture windows. An upstairs media room is fully wired for sound w/ sink & fridge for snacks. Lot Size: 0.2 Acres / 8930 Sq. Ft. Directions:From I- 4 exit on Princeton and head toward Edgewater Dr. Cross over Edgewater and turn on right on Reading Dr. and left onto Western Way. House will be on your right. SchoolsClick map icons below to view information for schools near 1135 Western Way Orlando, FL 32804. MFRMLS data last updated at April 19, 2019 11:41:56 AM PST. Home for sale at 1135 Western Way Orlando, FL 32804. 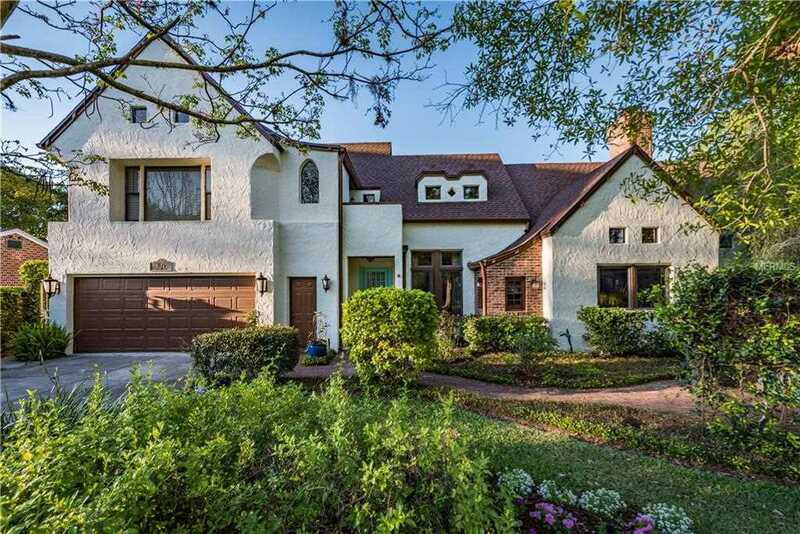 Description: The home at 1135 Western Way Orlando, FL 32804 with the MLS Number O5738011 is currently listed at $740,400 and has been on the Orlando market for 198 days. You are viewing the MLS property details of the home for sale at 1135 Western Way Orlando, FL 32804, which is located in the Palm Terrace subdivision, includes 4 bedrooms and 5 bathrooms, and has approximately 3811 sq.ft. of living area.